I’m not a fan of this kind of holiday, neither do I like those hunters. My blog is of course not a blog about Animal rights and I really don’t want to offend anyone, so back to business. Don’t be afraid, I just ate a probably in Belgium bred animal. However the question remains, why did I eat Blesbok on a normal Thursday evening? On a Thursday evening, just like most of the other Thursdays last months, I learn how to improve my basic cooking skills at Spermalie, a cooking school. One of the three courses, the main dish was Blesbok. It was very good and tasteful meat though. So what did we cook? 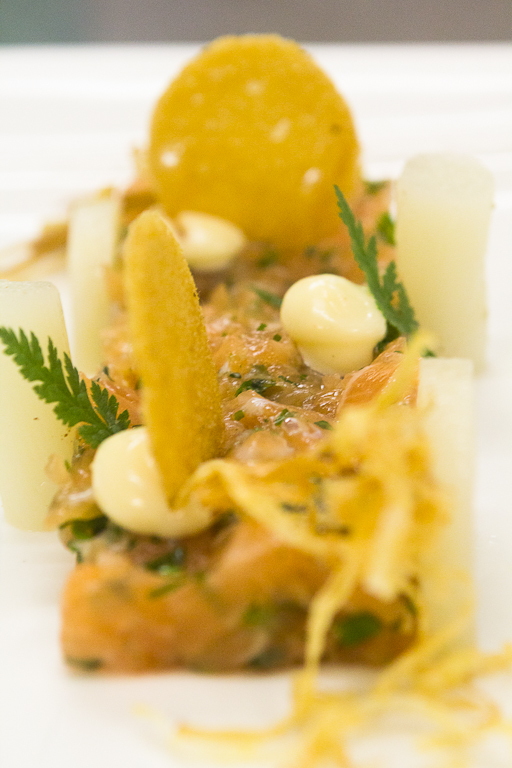 We started with Smoked Salmon Tartar with deep-fried vegetables and celeriac. The mayonaise was very good, just like the tartar. The decoration of the plate was again very beautiful. An useful thing to know that we learned: if you cook the celeriac in boiling water, it will turn brown. Instead of 1l of water, use half a liter milk and half a liter water and you will have white celeriac. 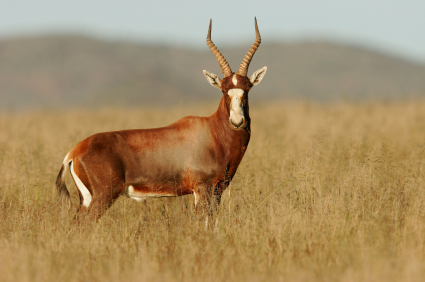 The second dish was the now well-known Blesbok. 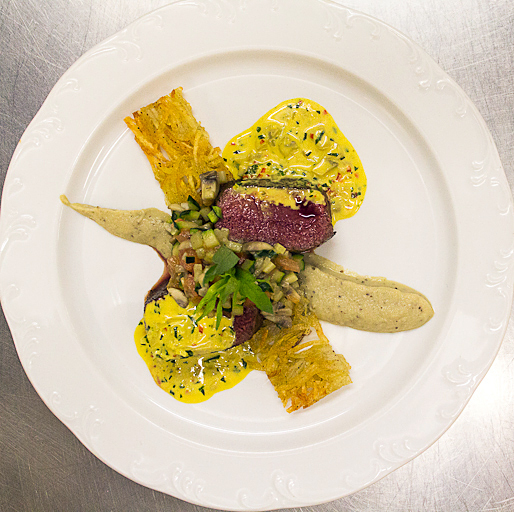 We made “Filet of Blesbok, Rösti, Purée of Eggplant and Tarragon Sauce.” This dish was really the best dish of the evening. The Tartar was ok, but this dish was much better. The sauce was delicious, the meat was tender and tasteful and it’s not a lot of work to prepare. 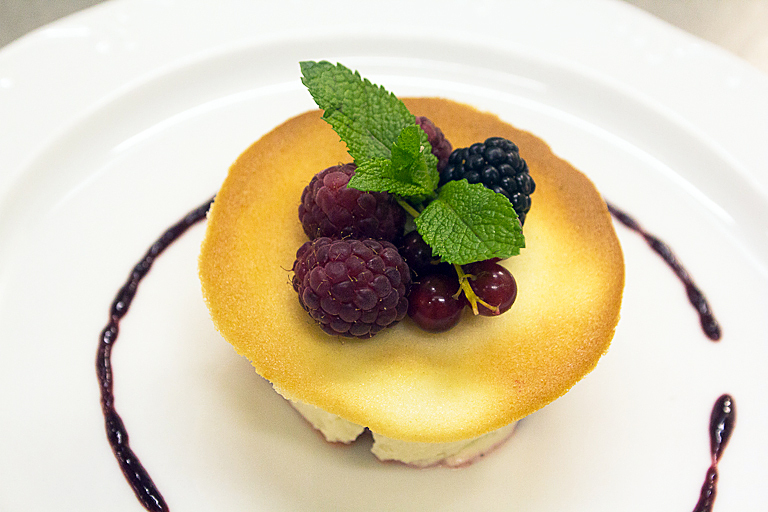 It’s a dish to remember. 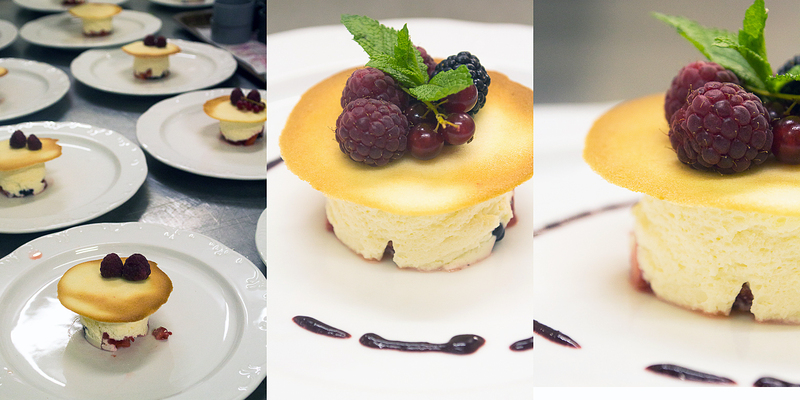 The last dish was a dessert: Ricotta with red fruit. Again, the plate looked very nice and tasteful. The dish was ok and I really liked the cookie. This dish is also perfect for on a hot summer evening. It’s fresh, light and easy to make. Conclusion of the evening: the three dishes were not the best dishes we ever ate on one of the Thursday evenings, neither were we blown away. However, we learned again some useful things and original ways to decorate a plate and that’s the main goal of this course, I guess. So Forza Spermalie!